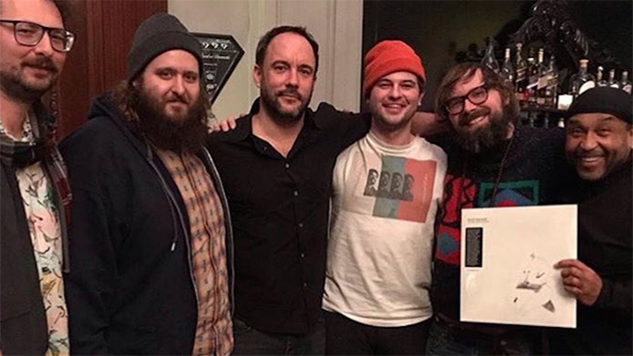 Earlier this year, Ryley Walker released The Lillywhite Sessions, a track-by-track cover of the “lost” Dave Matthews Band album of the same name. The covers range from free jazz to noise rock and everything in between. The homage has led to increased awareness of Walker among DMB fans, as well as the man himself. Earlier this month, the two singer-songwriters met at a show in Montreal. Wednesdsay, Dave Matthews commended Walker’s album on his official Facebook page. Watch a 1999 Dave Matthews Band performance from the Paste archives below. You can buy or stream Walker’s The Lillywhite Sessions right here.